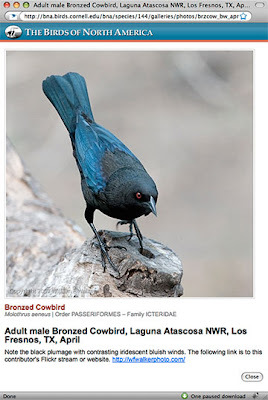 I am very pleased say that my photograph of a male Bronzed Cowbird was recently published by Cornell University's Lab of Ornithology on their Birds of North America website. This image came from an April 2008 photography trip to the Rio Grande Valley organized by my dear friend Ashok. On this Friday morning we were among the first to arrive at the blind next to the feeders at the Laguna Atascosa NWR, and these cowbirds were really putting on a show. As we did in 2008, Mary and I are gearing up to participate in our local “birdathon” next week and we are writing to ask for your support. 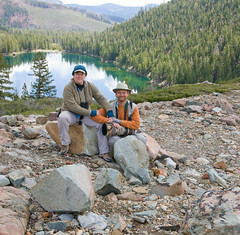 A bird-a-thon is a competition among teams of birders. Each team picks a day, a route, and a goal. On the chosen day, the team gathers hours before sunrise to listen for owls and then cruises the county until after well after sunset, looking for as many species of birds as they can find. Ok, so that's what we’re doing. Now, why should you help? Because the Spring Birdathon is the biggest fundraiser of the year for the Santa Clara Valley Audubon Society and all your donations are used for local environmental education programs. This means your donation pays for field trips, nature walks and hikes for children who might otherwise never get outside of their neighborhood or mall. Kids connecting to nature become voters protecting our open spaces and bird habitats. And we promise to match your contributions one-to-one. 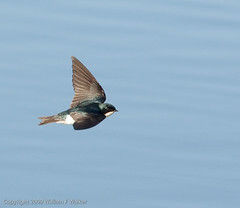 To get our final species count, tune into birdwalker.com shortly after the big day for a full report. You can give by check or by Paypal. Send your donations by check made out to Santa Clara Valley Audubon Society (home address: 2138 King Court, Santa Clara, CA 95051). 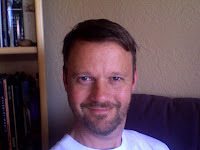 Send your Paypay donations using http://tinyurl.com/cvbu9k – this is the birdathon donation page. Please “Make a secure online donation” after selecting Bill Walker from the popup list. Please get your donations in by May 15th so we can submit them in a timely manner. We will be very grateful if you are able to contribute. SCVAS is a small organization and every dollar really does count. Last year, eighteen teams raised over $50,000 and we are hoping to beat that total this year. So here's the summary: Please help us support environmental education in Santa Clara County because connecting kids to nature is the first step in conservation. We're going all-out, kind of like those crazy dance-a-thon participants in the 1940's black and white films, to convince you we are serious about this cause. Can you make a donation? Originally uploaded by Bill Walker. Ashok and I spent some quality time near Sandy Wool picnic area today with Red-winged Blackbirds, Bluebirds, and Tree Swallows skimming the water. A good opportunity to practice on flying birds. After a few hundred exposures, I got this one keeper. 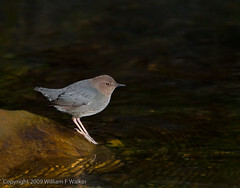 Equipped with rubber boots, better beemers, and a hot tip, we drove the bridges above Stevens Creek County Park in search of American Dippers. We watched them zooming up and down the creek in pairs, and finally managed to catch this bird foraging for a few minutes. It was pretty cooperative, but definitely didn't want to come into the sunlight. Sometimes flash is the only way to go. 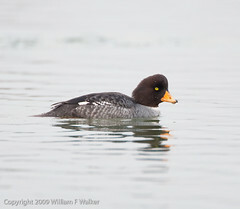 After many false alarms and mistaken identifications, I finally captured some images of Barrow's Goldeneye at Shoreline Lake in Mountain View. Most times, I'd head up there after reading other people's reports and just not find the bird at all. Other times, I'd come home with what I was sure were images of Barrow's only to be told that I had photographed Barrow's x Common Goldeneye hybrids. So, it's nice to have found the unmistakable stubby, all-orange bill on this female. It's also nice to have had my birding gurus confirm my diagnosis (Thanks, Bob). Whew. Now if I could just get a decent picture of a Sharp-shinned Hawk! How is change treating you, this year? We're about up to our necks in it. Bill is still working with the mighty Reactivity engineering team acquired by Cisco last year - now with a new role and a new product to work on. He manages more than he codes these days and he still likes his work. Mary wrapped up nearly 10 years at Nortel in January and just started a great new gig at Symantec this fall. And what about national change? On our way to see family and birds, we kept running into the presidential campaign, energy and food politics, gay rights and immigration. It was McCain signs all over Orlando when our niece Sarah celebrated her third birthday in January. By June, when our younger niece Alison was baptized, it seemed For Sale signs had largely replaced campaign lawn signs. We saw the border fence threatening important bird areas of the Rio Grande this spring, farmers' markets in six states, wind farms in three, and hybrid cars everywhere. In late October, we drove past hand-painted Obama signs in rural Wisconsin, a closed Mexican restaurant in Postville after the raids, and the dark, locked McCain office in Decorah, Iowa. When Mary's Mom visited us in July, our gay friends were legally able to marry. In November, we watched the election returns with Bill's folks and Adam here in Santa Clara and those rights were taken away. I'm pleased to announce that my 2009 wall calendar is available now through my on-line store. It features photos I've taken since December 2007 in various sites around northern California, central Florida, and the Rio Grande Valley of Texas. So, you've got a recipe for Turkey with Molasses Butter. It gives ingredients for a mixture that's to be inserted under the skin of a ten pound bird. We've got a twenty pound bird. How best to scale up the ingredients for something proportional to the surface area of the bird when all we know is that we've doubled something proprtional to the volume of the bird? Well, if you assume a spherical turkey, then doubling the volume is generally slightly under doubling the surface area, so that should be OK. See attached graph. And that's what I did tonight after the mashed potatoes. 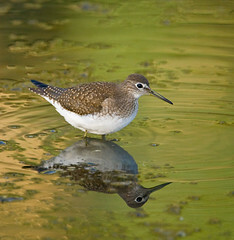 We read on our local mailing list about a Solitary Sandpiper hanging around Vasona Lake, and went to see for ourselves. Happily, we found him right where everyone said he would be, and the morning light brought some great colors from the foliage into the water. All the county hotshots have been scouring Alviso for rare shorebirds lately, so I thought I'd better head over there. 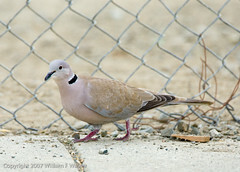 For shorebirds I found the usual suspects, but I had a lot of fun tracking this Collared-Dove until it landed down low. This isn't the perfect naturalistic background I might wish for, but it does show how these guys are adapting to the urban environment down at the bottom of San Francisco Bay. This morning Ashok and I went over to Hayward Shoreline Interpretive Center and walked out among the shorebirds, trying to capture them in flight. 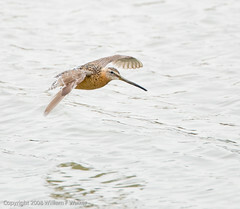 The overcast meant pointing the camera down was best, as with this breeding-plumage Dowitcher. Perhaps our coolest bird of the day was a Peregrine Falcon flying over and spooking several hundred shorebirds into the air all at once. 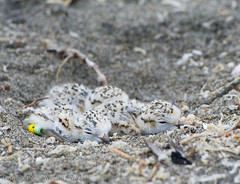 I spent some time at Moss Landing and Zmudowski State Beach the other week, and I ran into Dave Dixon, who works with the State Park folks banding Snowy Plovers. When I told him I was interested in the Snowy's, he offered to take me to a nest where he'd just banded two-day-old chicks. Well, naturally I leapt at the chance! He not only brought me right close to the nest, but actually put two of the babies in the palm of my hand, where I could feel their warmth seeping into my hand. It was a spiritual moment. Those little birds were amazing. In June, I made a number of trips to our local Audubon office to lurk near the bird feeders. 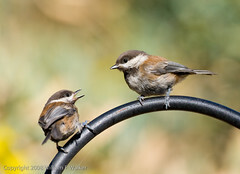 These chickadees were so busy feeding and squabbling that they scarely noticed me. 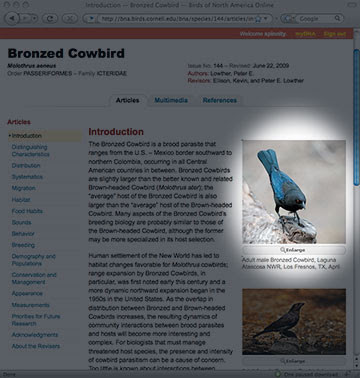 This is a Flickr badge showing public photos from Bill Walker tagged with bird. Make your own badge here.